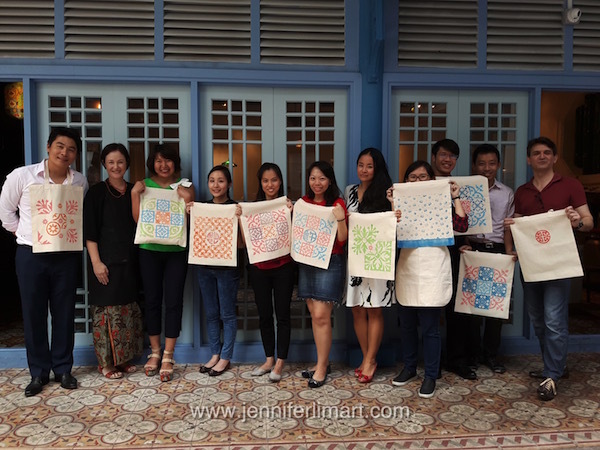 A recent media event at Hotel Indigo Katong. 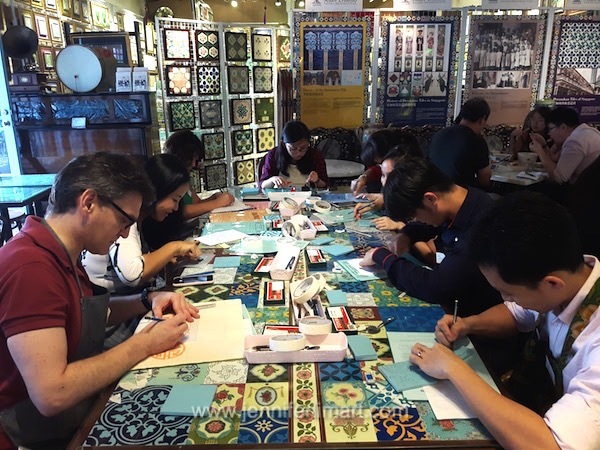 Looking for an unusual team building event or VIP event? 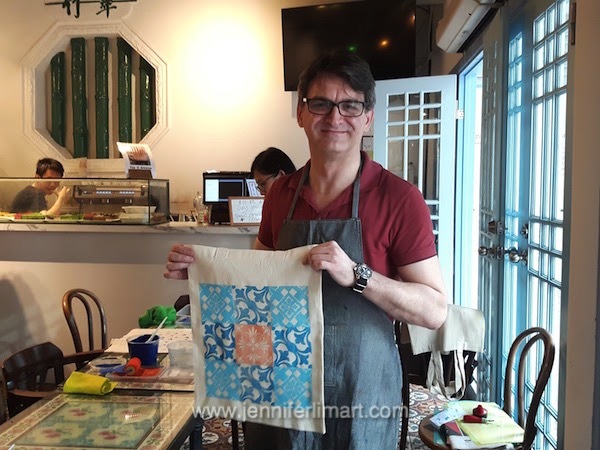 Print Culture Studio offers a unique art workshops inspired by local and Peranakan culture. 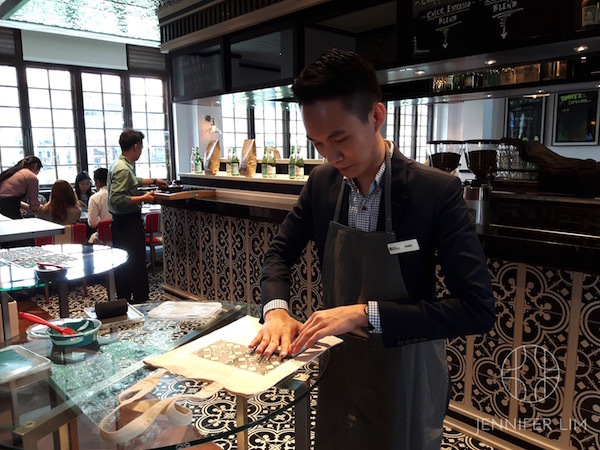 Local and overseas staff have the chance to chat and communicate during a relaxing and informative session of Peranakan inspired printmaking. Hold a mini session to bring in a local flavour for overseas VIP events! 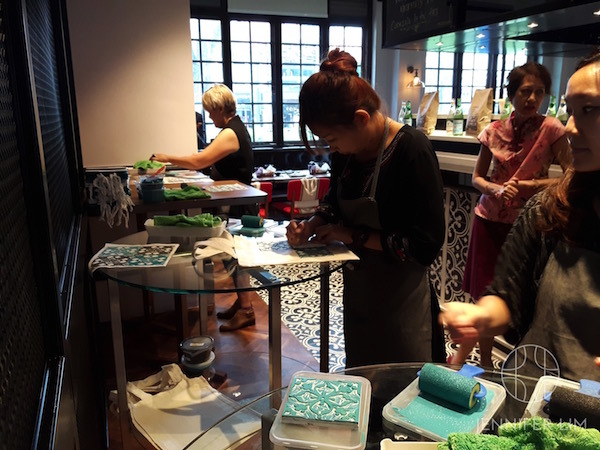 We offer both carving and non-carving workshops and have an exclusive library of block inspired by local and Peranakan culture. 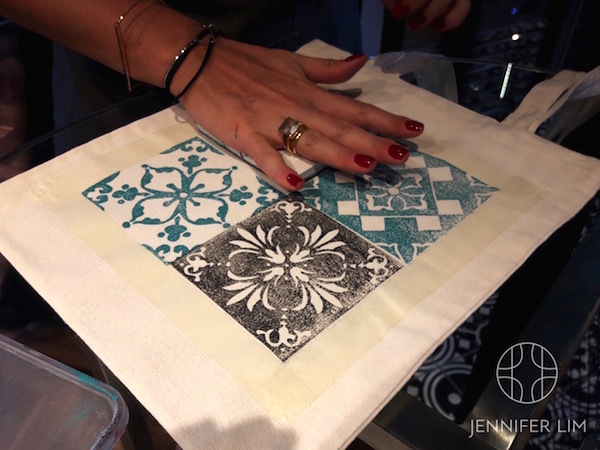 I can also customise a range of designs to suit your needs. Contact me to discuss your next team building event & tailored solutions for companies.